This sign was spotted by Herbert Park. 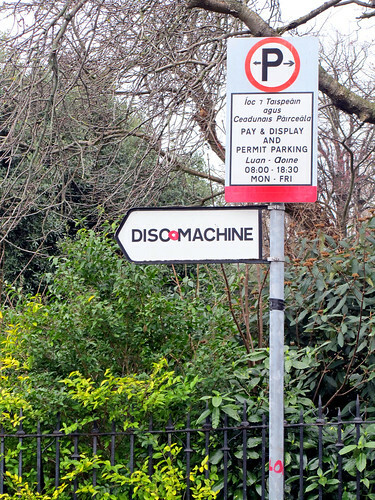 Someone has been getting creative while tampering with the sign, and what was meant to be the disc machine (for parking discs) is now a disco machine. Might the effect be better had the “o” also came in the size as all other letters rather than being the stuck-in-the-middle-red-ring?